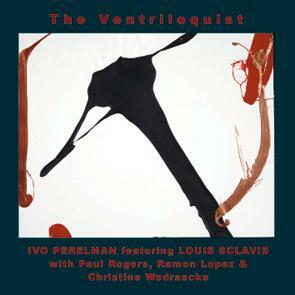 Recorded in Paris in Summer of 2001 with Louis Sclavis on bassclarinet, Ivo Perelman on tenor, Ramon Lopez on drums, Paul Rogers on bass and Christine Wodrascka on piano. As Ivo says, the challenge of playing with another horn player for him is to really "be" there and paint the canvas with four hands, fully acknowledging (sometimes almost telepathically) the other horn player. 1 + 1 becoming not just 2 but something else. "I believe Sclavis and I very much accomplished that."